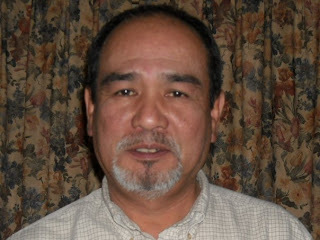 Francis R. Lazaro - As a NJ certified Energy Auditor/Inspector for fifteen years, my job was to inform and educate home energy users on saving and conservation. There seems be some confusion about the difference between Energy Conservation and Energy Efficiency. The following is my take on this subject. Energy, Wildlife, Forrest, etc. conservationists all has a common goal. That is to “Sustain a Healthy Environment”. Sometimes they are viewed as separate and completely different entities. They all have the same goal but energy conservationists because of commercial, institutional and residential usage it deals a lot with “Sustaining a Healthy Indoor Environment”. The role of an energy conservationist becomes confusing or misleading to people when installing or applying energy efficient measures in a structure. They assume energy efficiency is the same as energy conservation. The easiest way for me to explain this to you is to compare an energy efficient home to one that is not from an energy conservationist’s perspective. Let’s assume there are two identical houses, same age, size and number of occupants. House “A” has a 30% lower energy bill than house “B”. This was due to the improvements house A did, such as adding more insulation in the attic, replacing the heating system with an efficient one and replacing all the windows in the house with thermal pane windows. This explicitly implies that house A uses 30% less energy than house B to heat their homes. However, house B may have better indoor air quality than house A. There are several factors one has to consider involving the aforementioned. One is what happens to air inside a house when heated or cooled. When air is heated the molecules become excited and move away from each other (expansion) and when cooled or losing temperature the molecules become less excited and move closer together (contraction). Another factor is the volume of air within the house that remains constant. In other words if you pour 10 ounces of water into an eight ounce glass the amount of water inside the glass is eight ounces, the other two ounces overflows the rim of the glass. If we apply this to a house, when the heat comes on the air inside the house expand and since the volume of air inside the house is constant the expansion pushes air out the house. This takes humidity and other pollutants found inside the house with it. As the temperature of the air inside the house drop the air contracts which brings in fresh air from outside. This is known as “Air Exchange” and heating one’s home is the primary source of it during the heating season. While the efficient heat system installed in house A may account for some of the reduction in energy costs, it probably accounts for a small portion of it. Which means house B heating system comes on more frequently than house A and has more air exchange than house A. This doesn’t mean that house A has a lesser air quality than house B. It does mean that house A has a higher probability to have an indoor air quality problem than house B. This is what concerns energy conservationists. Most of us believe in “Murphy’s Law”. Clearly all of the aforementioned is an oversimplification in our pursuit to achieve a “Sustainable Healthy Indoor Environment”. Factors like type of heating systems, number of gas appliances, fireplaces, exhaust fans, occupants’ behavior, area climatic conditions, site drainage and more were not discussed here but do play a very important role in achieving our goal. It is good to note that the average homeowner is unlikely to cause an indoor air quality problem by making energy efficient measures in their homes. Companies that “Air Seal” structures can cause an indoor air quality problem. What these companies do is first determine the “Minimum Ventilation Requirements” then measure (before air sealing) the air exchange. This determines if they can proceed with air sealing the structure. Afterwards they verify the air exchange to assure they did not violate the Minimum Ventilation Requirements for the structure. The role of an energy conservationist is to encourage the use of Energy Efficient measures with a deep concern for the health and well-being of the occupants as well as the integrity of the structure. Two topics for those who wish to know more about this topic are “Combustion Appliance Zones” (CAZ) and “Sick Building Syndrome” (SBS). I want the best home inspection services in Palos Verdes Estates. Can you please provide me any best service for my home inspection? Thanks for sharing such amazing tips on investing in property! It indeed sounds time consuming and a lot of headaches, but in the end it is totally worth it. Advice - Why Do You Want Me to Save?